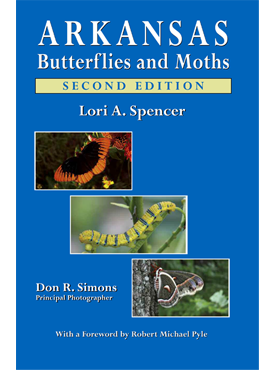 This book continues the nature series published by the Ozark Society Foundation and can be a companion to Arkansas Butterflies and Moths. It provides a clear, concise way for children to identify Arkansas’s state butterfly, the Diana Fritillary, in its natural habitat. It features twenty eight color photographs, drawings, and other useful resources for children and parents and science and social studies teachers. Lori A. Spencer is a professional lepidopterist and Certified Heritage Interpreter whose programs are popular throughout Arkansas. 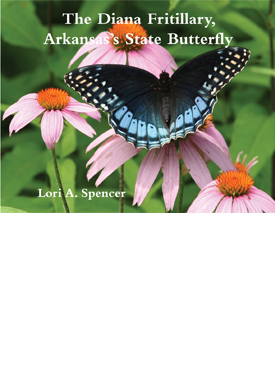 She is the author of the award-winning Arkansas Butterflies and Moths. Don R. Simons, principal photographer, has been an interpreter with Arkansas State Parks for thirty years. His photographs have appeared in many venues around Arkansas.